A solid state drive (SSD) can be one of the best ways to speed up your desktop PC or laptop. In 2018, however, I still come across PC users who answer the question “What storage drive do you have?”, with “A 500GB” or whatever size their drive is. The difference between a mechanical hard drive and an SSD is lost on them – and the concept of multiple SSD form factors or interfaces is as unknown as deep space. SSDs make a drastic difference to the performance of your machine and are becoming increasingly common in mainstream laptops as primary boot drives. They are more expensive than traditional hard drives, but offer much better data transfer speeds and increased resilience. By using NAND flash technology to store data instead of a spinning disk, SSDs can access information a lot quicker than mechanical drives and are more resistant to physical damage. 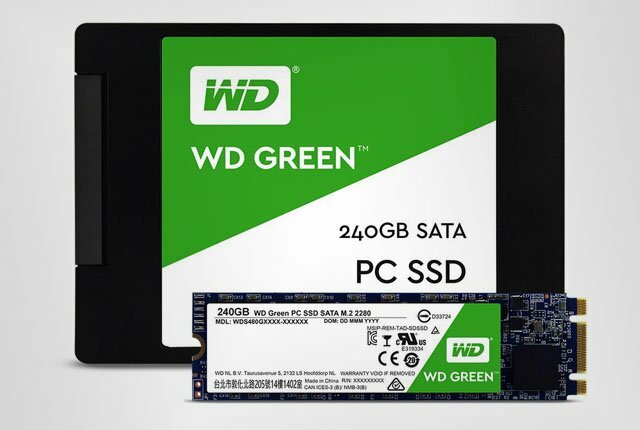 If you don’t have an SSD in your primary PC, you should look at getting one – even if its only to store your operating system and major applications. If you don’t know what kind of storage drive you have, ask your tech-savvy friend, or the IT person at your company who is willing to take the time to help you out. SSDs in desktops and laptops are usually either standard 2.5-inch drives or smaller M.2 drives. Some SSDs are also available in a PCIe form factor, but these are usually reserved for workstation or server setups. 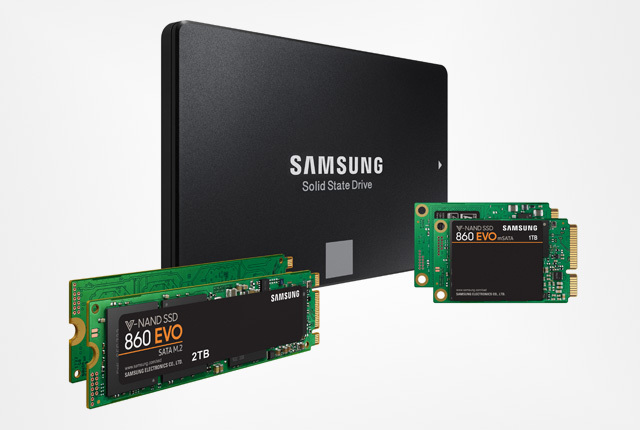 While the 2.5-inch and M.2 drives look very different, they can share the same SATA interface – which allows for data transfer speeds of up to 600MB/s. However, certain M.2 SSDs use an NVMe PCIe interface instead, which allows for data transfer speeds of up to 16GB/s. When purchasing an SSD, you will need to determine which type of drive your PC supports and whether you will want to spend the extra cash on a faster NVMe SSD. SATA SSDs are also faster than mechanical hard drives, but are generally limited to just below 600MB/s. By comparison, a decent mechanical hard drive will give you data transfer speeds of around 150MB/s. Choosing between different SSD products can be confusing, especially when comparing specifications. Apart from the form factor and interface, the most important specifications are generally the storage capacity and read/write speeds. Storage capacity is relatively self-explanatory, and refers to the maximum amount of data the drive can store. Read and write speeds are a bit more complicated and are usually broken down into two specifications – Sequential and Random. Sequential speeds refer to the maximum speed reached by the SSD when reading or writing un-fragmented files to or from the drive. Random read and write speeds measure the drive’s ability to quickly access small files randomly across the drive. For this reason, sequential read and write speeds are measured in MB/s, while Random read and write speeds are measured in input/output operations per second (IOPS). 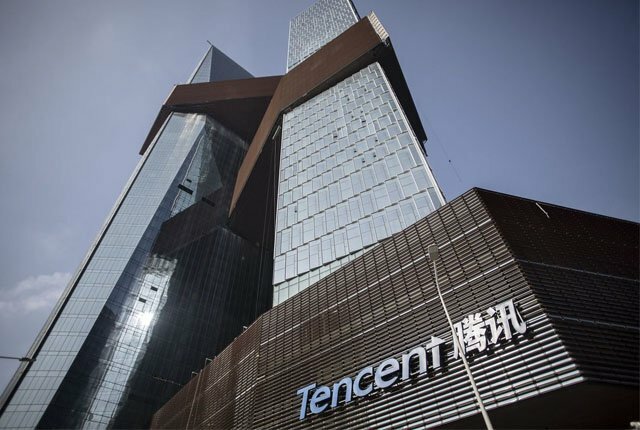 Other important specifications to consider are the mean time to failure (MTTF) and endurance figures, measured in hours and terabytes written respectively. These provide a good idea of the SSD’s expected operational lifetime. If you are on a budget or your company won’t splash out on a 250GB or 500GB SSD for you, look to purchase a 60GB or 120GB model – and run it in conjunction with your mechanical hard drive. 120GB SSDs are around R550, and can store your operating system and a few key applications. The speed difference it will make is noticeable. WD 2.5-inch SSD and M.2 SSD. 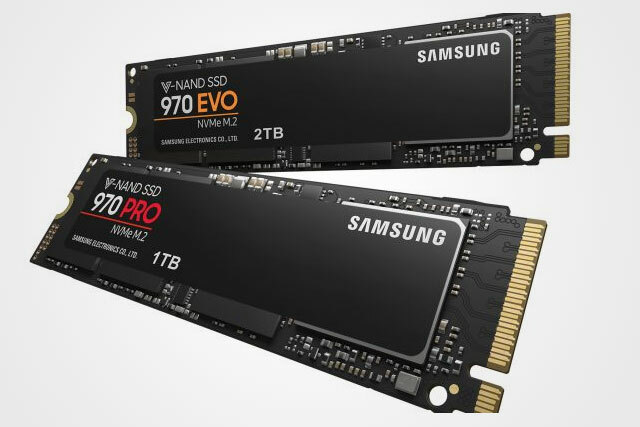 Both SSDs and mechanical drives have their respective advantages and disadvantages. The main drawback to purchasing an SSD is the higher price per gigabyte of storage. However, most modern mid-range laptops include an SSD, or you can buy a small one as explained above. When choosing a drive capacity for your SSD, you should balance your data transfer needs with your budget. If you do not regularly move large files or perform storage-heavy tasks – such as video editing and gaming – you can opt for a small boot SSD, and then mechanical storage for all your files. For video editors and heavy users, high-capacity SSDs for key applications and files can make a massive difference to productivity.